This all-in-one package has everything a photography pro needs to take amazing shots and perfect for an amateur who's just starting out. 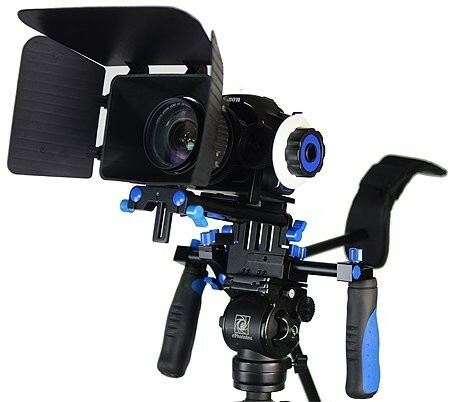 It's the ultimate video camera device for movie lovers with video digital SLRs. - Hand grips and shoulder with pad provide comfort long period shooting.